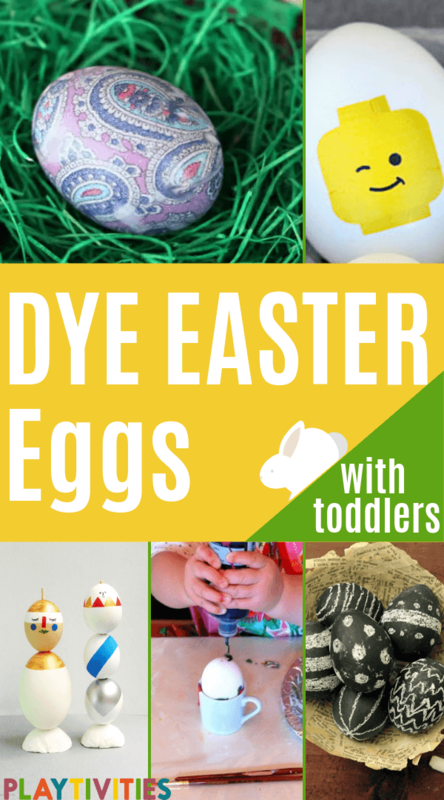 Dyeing Easter eggs with kids (or even by yourself) can a be a challenging task. 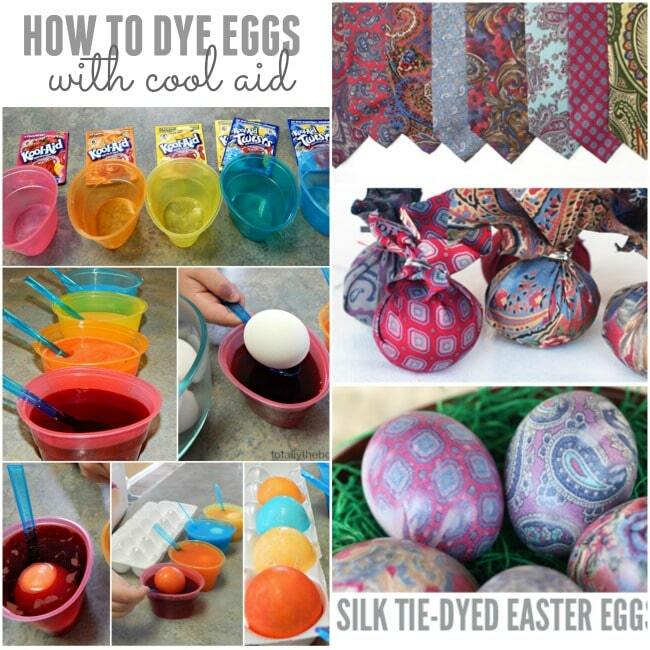 There are so many how to dye Easter eggs tutorials, different dyes and complicated kits that are overwhelming. 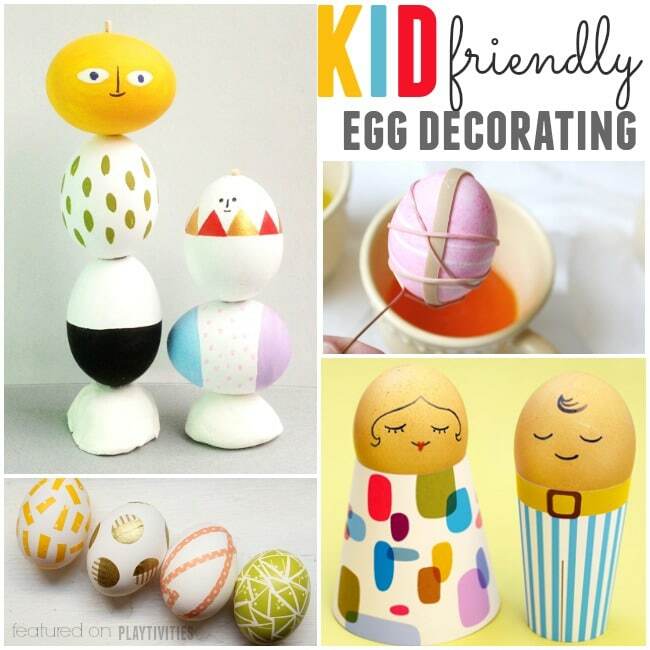 Last year we tried to dye eggs with crayons (which was cool actually), so this year I was searching for something new. 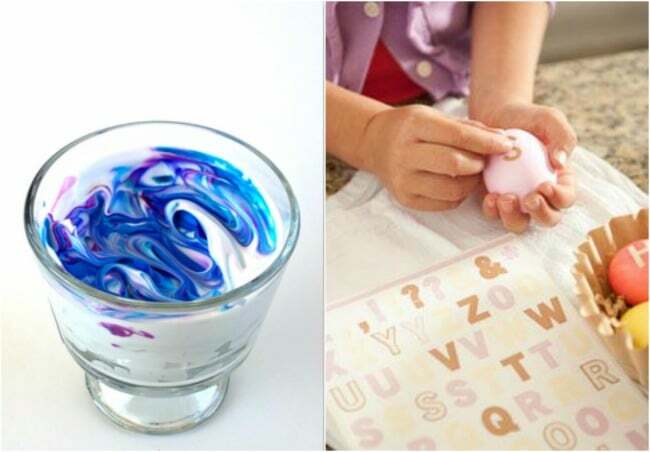 We love everything simple, here at PLAYTIVITIES, so I searched and found the coolest ways to dye Easter eggs. 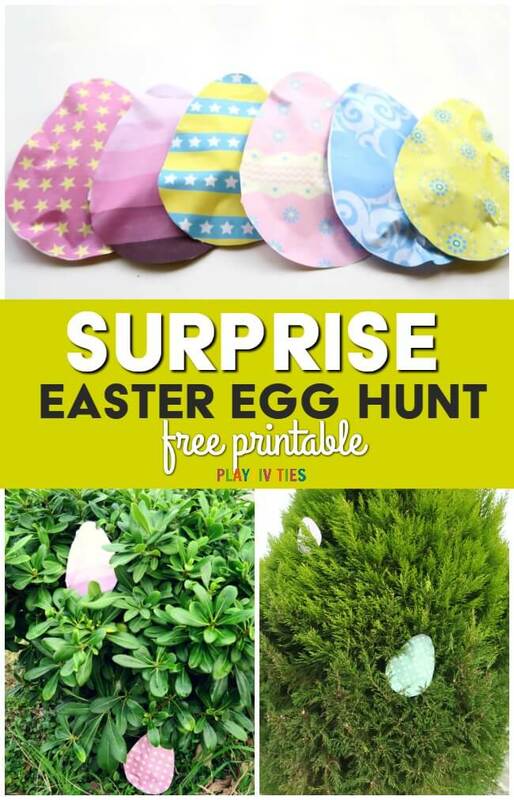 You will find Easter egg hacks with shaving cream, free printables, naturally dyed eggs or how to decorate eggs without touching them! 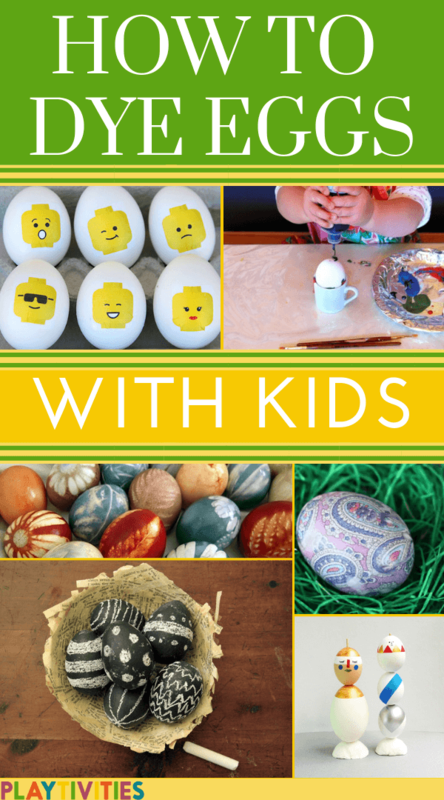 Almost all of them are kid friendly and are really fun! 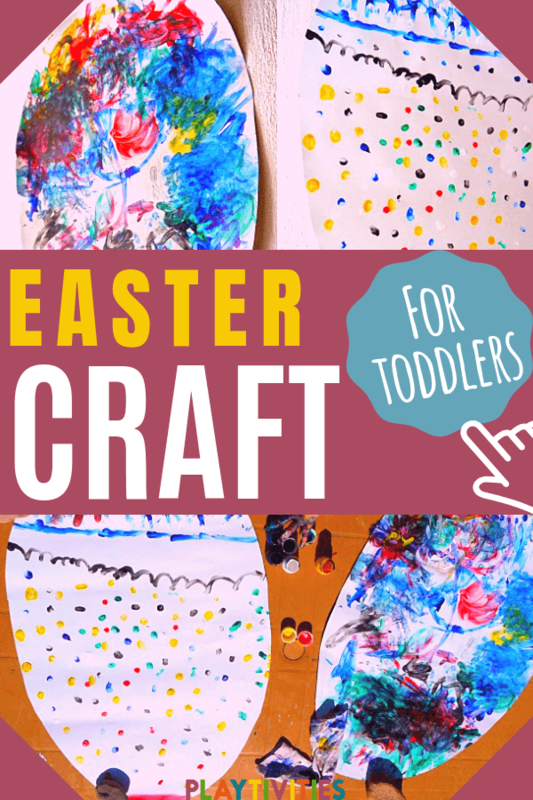 No matter how old are your kids (toddlers or teenagers), I am sure you’ll find the best idea to your family! What is worth to mention is that if you had an accident and you cracked the eggs, you don’t need to worry or hurry to buy new ones. 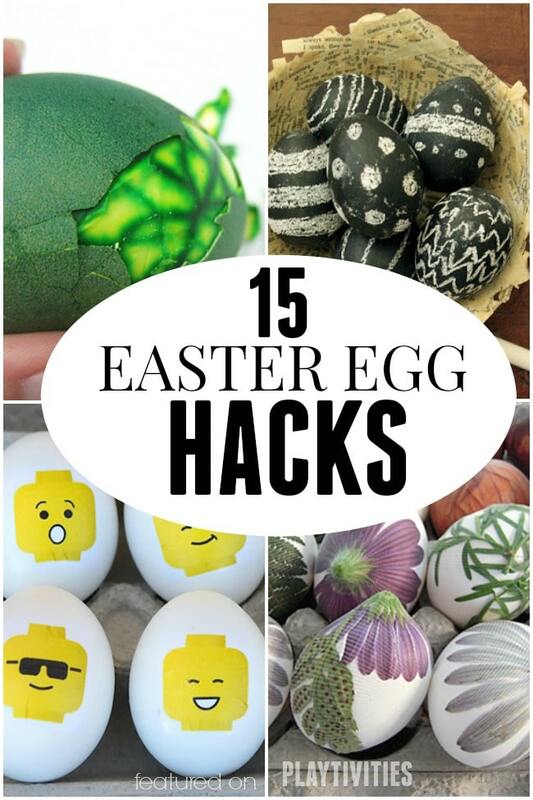 My advice – don’t throw away your slightly cracked eggs. Not yet! First of all, look at what you can make out of them – kimberlycun! 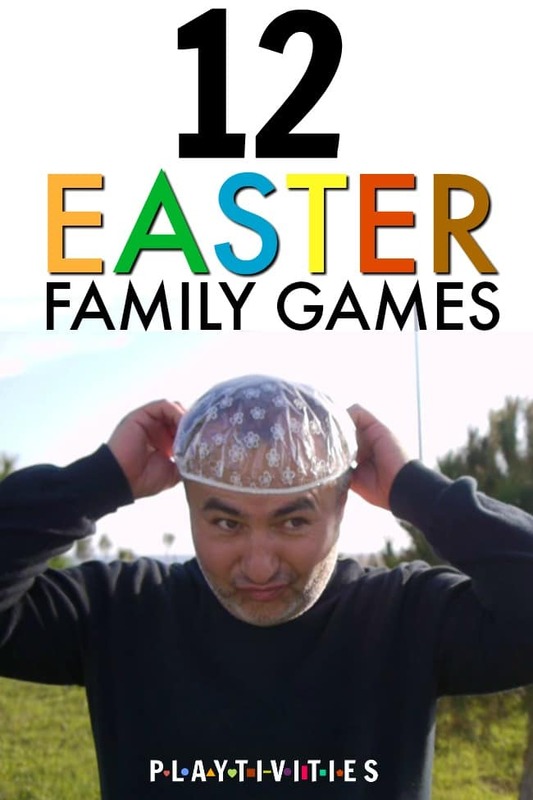 I hope you found your favorite tutorial and learned how to dye Easter eggs so you can show your kids and to it together. 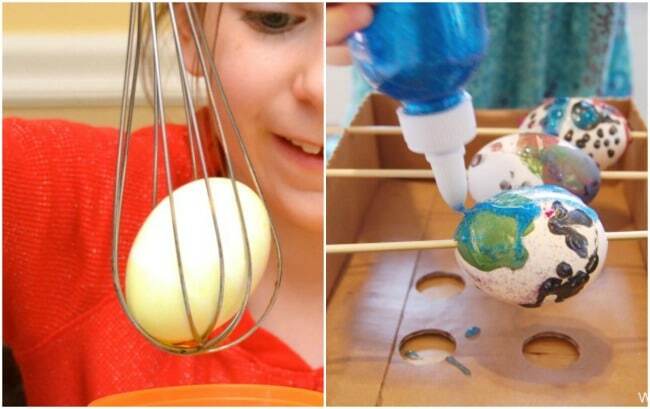 Did I miss your favorite way to dye Easter eggs?